Are you looking for fun things to do on MLK Day with Kids? There are many MLK Day events and ways to celebrate. There are Martin Luther King Jr. Day events in Louisville from commemorative events to fun outings. 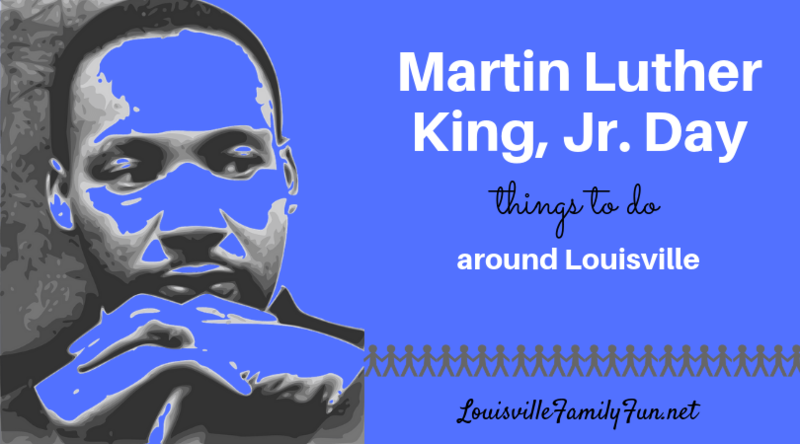 Here are some MLK Day events and ideas for things to do with kids. You can spend the day working on a service project, learning about Martin Luther King Jr., or having a fun day together as a family. See special screenings of the “I have a dream” speech at the Muhammad Ali Center. Free pizza courtesy of Papa John’s after the 11am screening (while supplies last). MLK Day Commemoration at the Kentucky Historical Society in Frankfort from 10am – 2pm. Tours and performances. Click here for the full schedule. MLK Jr. Day of Service Project: Boone Square. From 11am-1pm, help with clean up and beautification projects at the park. Drop-in play at Kazoing for $7.50. Click here. $5 attractions all day at Malibu Jack’s. Free admission to the Indianapolis Children’s Museum on MLK Day. Free admission to the Corydon Capitol State Historic Site on MLK Day. $15 MLK Day special at Lazer Blaze. $15 for a four hour session that gets you unlimited fun on all of the attractions! Head to Main Event and choose between all-you-can-play activities or all-you-can-play arcade games and play all day for only $19.95 per guest. KaZoing! has day camps for kids, half and full day options. MLK Day race camp for kids at Bluegrass Indoor Karting. Click here for details. Kids age 7-15. All About Kids has camps for kids at both their Louisville and Oldham county locations. Kentucky Science Center camps for kids grades pre-k to 5th. Looking for more fun? Check out our deals page and maybe there’s something in it for you!